Military attachés from NATO and Saudi Arabia summoned by Kremlin. The Russian Defense Ministry is demanding proof or an official retraction of statements made in Western media about Russian jets bombing hospitals in Syria. Russia wants a reply within "several days" but Russian experts believe that it is unlikely any proof will be presented. On Oct. 27 the Russian Defense Ministry summoned military attachés from NATO and Saudi Arabia for explanations. 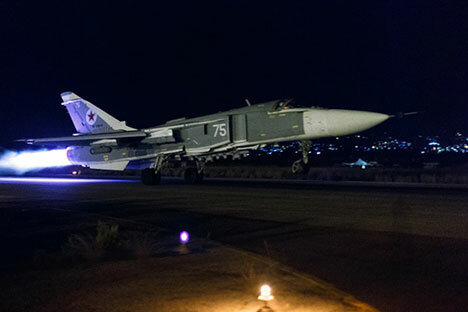 Russia is demanding proof to corroborate the announcements that the Russian air force has hit hospitals in Syria as part of its campaign of airstrikes, which Moscow says is aimed at destroying positions held by Islamic State (ISIS) militants. "We invited military attachés from the U.S., the UK, France, Germany, Italy, Saudi Arabia, Turkey and NATO and asked them to officially provide proof for the statements or deny them," said Russian Deputy Defense Minister Anatoly Antonov after the meeting. The ministry believes that "several days will be enough" for providing proof or denying the announcements. In turn, Russia will thoroughly investigate the strikes that its air forces have allegedly carried out on civilian targets, said Antonov. According to Sergei Karaganov, honorary chairman of the Council on Foreign and Defense Policy and dean of the World Economy and Policy Department at Moscow’s Higher School of Economics, the proof does not exist. "I would not exaggerate the significance of this move for now. It is one of dozens that NATO and its allies make against us and it is all part of the propaganda war. But when they lie, they must be told that they lie," he said. Karaganov pointed out that NATO forces have already destroyed two hospitals – one in Afghanistan and another in Yemen – and said this move is "certainly" an attempt to cover up these failures.